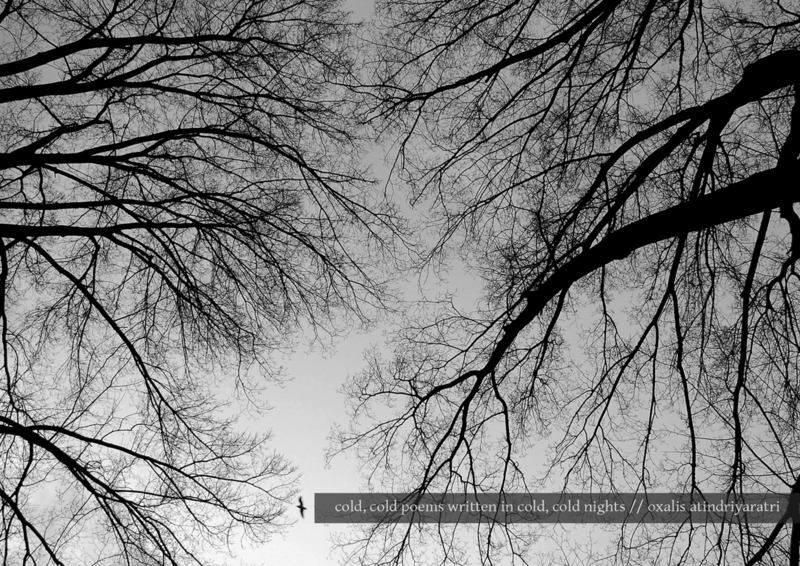 Cold, Cold Poems written in Cold, Cold Nights was a compilation of poems I wrote in 2004-2005, the years which I considered the bleakest, coldest time. In 2006 I made a small booklet out of the poems and give them out to my friends. In 2013 I redesigned the booklet with a simpler, more modern design. Here’s the cover and you can download the booklet by clicking the image.